My to-read list and pile are extensive. For years, The Master and Margarita by Mikhail Bulgakov sat as scrawled letters on the list and then as one of many, many books in an overflowing wicker basket beside my desk. I finally picked it up and read it, and now I have finally finished it and I think it warrants a blog. This book was not a leisurely read for me and without trying to sound like a snob, I am not exactly new to literature. It was not difficult to read in the sense of language, it was just so full of stuff. Though not particularly long, Bulgakov sure packs a lot into every page, into every word. I suspect that I would have to read it several more times to catch all of the puns, allusions and other nuances. In short, The Master and Margarita is about the devil arriving in Moscow in the 1930’s and wrecking his own special brand of havoc in Soviet Russia, which is an atheist country and refuses to believe in him. As if that isn’t interesting enough, as a writer, there were a lot of other things that made this book very unique for me, here are a few of them. 1. The main characters are not introduced in the first part of the book. This is, as every good writer knows, a huge no-no. More proof that you must know the rules and then feel free to smash them with the blunt object of your choice, notwithstanding possible consequences. 2. It is really two books in one. One of the main characters, the Master, is a writer and part of the book is the Master’s manuscript which is a novel about Pontius Pilate. You get to read parts of this manuscript over the course of the novel. 3. This one is a little more complicated, first, the references that The Master and Margarita make to Faust, various literary and classical figures and works is mind-boggling. Get a version with notes or commentary and make good use of them. Second, once you read it, you realize how much The Master and Margarita has been referenced and used and portrayed in popular culture over the years. What goes around comes around. 4. 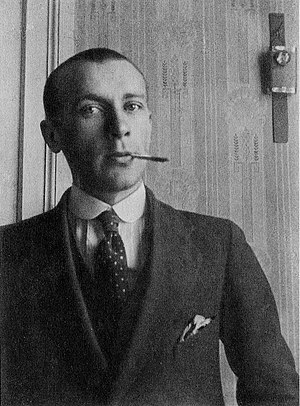 Mikhail Bulgakov is an interesting character himself. He had worked on The Master and Margarita for something like twelve years, and then died before it was finished at a relatively young age. The main text was done, but he was still working on it when he died in 1940. What other changes might he have made, had he lived? 5. Most impressive, or perhaps, most sad, Bulgakov never thought that The Master and Margarita would be published, and he was right. It never would have been published, uncensored, in Soviet Russia and it wasn’t. It was partially published in 1966, over twenty years after he died. 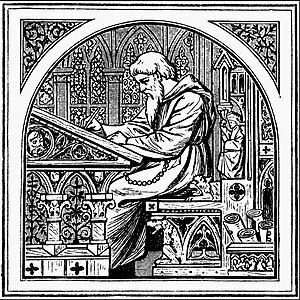 I am both inspired and depressed by the thought of this man slaving away on a manuscript for so long that he was pretty sure would never see the light of day. Though not light summer reading, in honour of September’s arrival I highly recommend adding The Master and Margarita to your winter reading list. It is not an easily categorized work and you will probably not breeze through it. Learn a little bit about it before you start and read a copy with notes and commentary to make your journey through Bulgakov’s crazy, magical world run just a little smoother. This one is worth the extra effort. This is the version that I read. What is the best education for a writer to have? 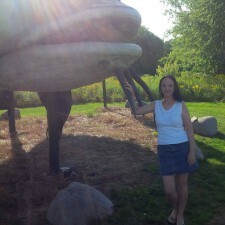 Do writers need any special education at all? Can writing even be taught? I think all writers ponder these questions to some extent, some more than others, myself more lately. I have been writing since I was mentally and physically able to do so. I’m not saying those early efforts about my cat Fluffy were all that great, but a story is a story, after all. This morning I was reading an old Maclean’s magazine, because that’s how cool I am. There were profiles in it of notable Canadians talking about their formative university experiences. What struck me the most was that in almost every case the person’s degree, or at least their first degree, had little or nothing to do with what now makes them so notable. That said, all of them stressed how important they considered the experience of that education to be, and how a degree in almost any field can teach far more than the subject name that heads it. I consider myself a ‘natural’ writer in the sense that I have felt the need to craft stories from words my entire life. The creative process is not something I have to work at, it just comes, inexplicably and wonderfully of its own accord. Making my writing better is a different story. I have always tried to learn as much about writing as I can through books, newsletters, the London Writers Society, critique groups and writing friends. About ten years ago I took a course through Long Ridge Writers Group that really introduced me to the business side of writing, which was something I definitely needed to learn about. I ask these questions because I don’t know the answers. I had lunch with a friend of mine a while ago, a guy who has a PhD in something writing related that I can’t even remember. For some reason we were talking about university. I have a degree in history, but when I applied to grad school, they lost my application. That’s a story in itself, but I was saying that one day I might want to go back to grad school. My friend asked me for what and I told him history, of course! That seemed to surprise him and he suggested I take something writing related. For some reason I was taken aback by this prospect. I told him no way, it would be for history if I ever went back. I love history, I love the stories, the information, the research, the bearing on the world today and of course, the writing. I have absolutely no desire to pursue a degree in writing. I like courses in writing, classes, books, tutorials, but I actually get a weird, icky feeling when I think of obtaining a writing degree. I’ve thought about this a lot trying to understand why. I’m a life-long learner, so that’s not the problem. I’m always trying to improve my writing anyway, so I see the value in it and am not afraid of the prospect. I think it’s the technical aspects of it all. All writers use the technical aspects of writing, obviously, and good ones are always trying to improve on them, but there is a magic to writing that I just don’t want to analyze. I don’t want to strip it down and tear it apart, I don’t want it to be a formula. I want my writing to stay there, up in the air in a wonderful, magical place of imagination smashed into words. I want the stories to keep flowing out of me like a broken faucet, no explanation necessary. I guess the best education for a writer is writing, reading, and life. Must be the romantic in me.